This award was established in 1993 to honor individuals who have been dedicated volunteers within each individual gymnastics club’s organization. One certificate is available for presentation to each club, each year. Each club can create their own criteria to best suit their own organization. The Awards Nomination Form should be completed by the club and forwarded by the submission deadline. It would be appreciated if an electronic photograph (headshot only) could be sent as well to include on the award. 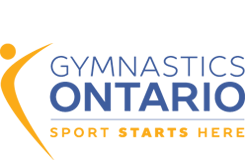 One certificate per club submission will be reviewed by the Awards Committee, for approval by the Gymnastics Ontario Board of Directors. “Club Volunteer of the Year” certificates/plaques will be sent to each club in June, to the address noted on the Awards Nomination Form, and to allow the club to properly recognize their special volunteer at a meaningful function/time – e.g., annual banquet, year-end show, etc. The name, short bio and photograph of the recipient may also be posted on the Gymnastics Ontario website.